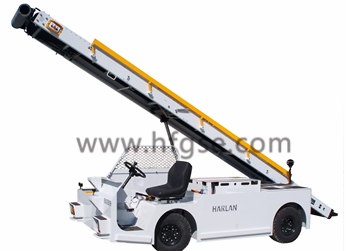 HF-BLE Harlan Electric Belt Loader - Green Power Equipment - Products - Shanghai Hangfu Airdrome Equipment Co., Ltd.
HBLE is an alternative for belt conveyor. It is electric powered. Thus the operating cost and the maintenance cost is much less when compare with the diesel powered. The operation is PLC controlled and thus, the speed and the belt travelling speed etc. can be adjust to customer’s requirements.